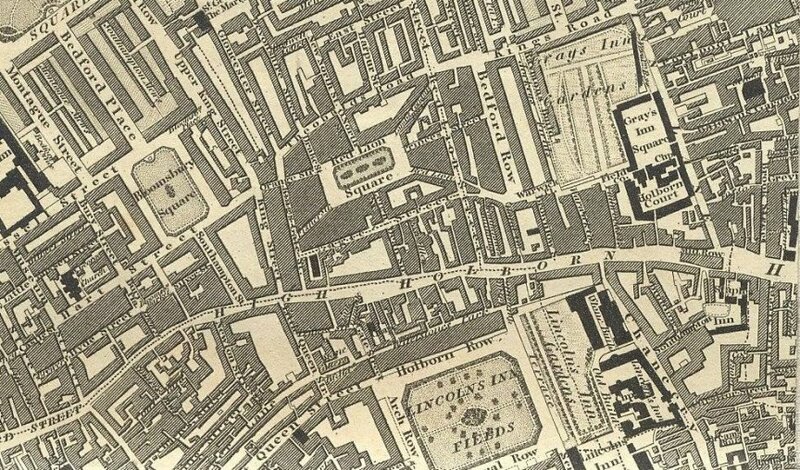 It’s somewhere you can imagine the five children of E. Nesbitt’s stories stopping off on their way back from the British Museum. 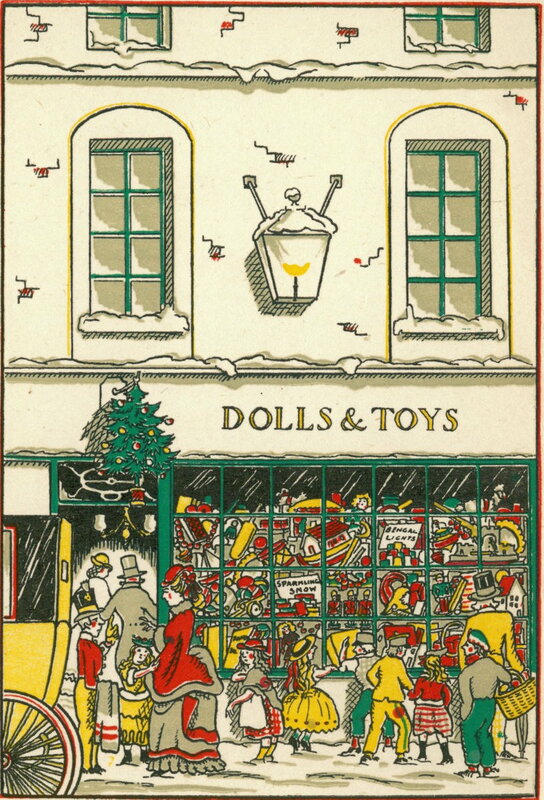 The toyshop is a sensation, visited by some very fine society types who quickly turn it into the hot topic of the festive season. 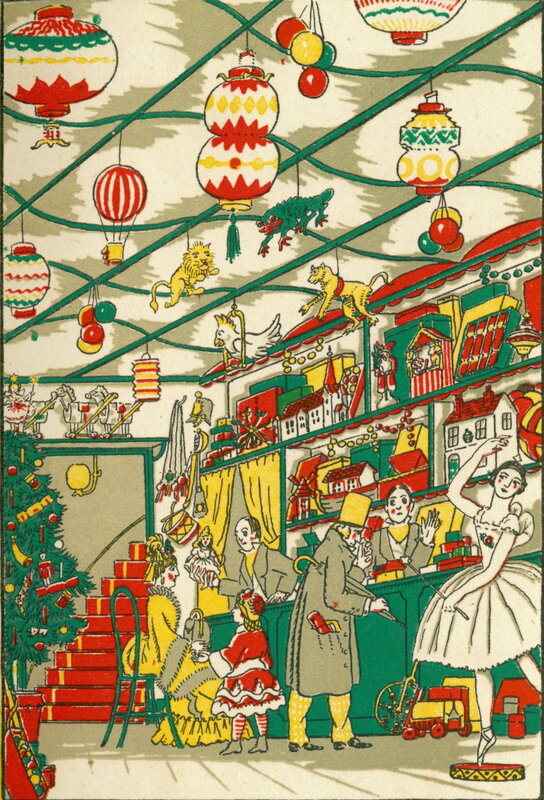 Eventually it comes to the attention of a particularly important gentleman who sets his sights on acquiring one of the shop’s most exclusive items, and sets in motion a chain of events that will destroy the magic of the toyshop forever. 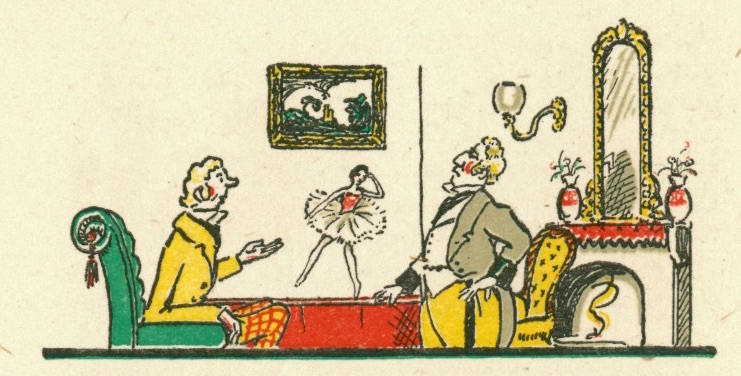 To express his determination the gentleman takes out a snuff box, ‘and underlined his words with sundry taps of his finger-nail upon the lid, after which he opened the box, took a pinch of the contents and proffered the box to his companion.’ You don’t see much snuff in children’s books these days. More’s the pity. 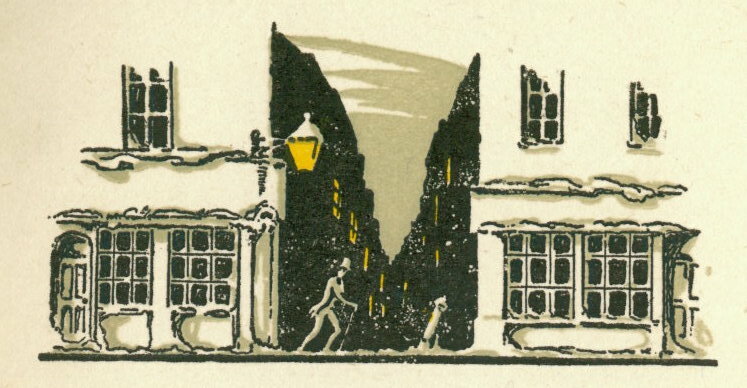 This beautiful world is ably captured by Wyndham Payne, who would go on to produce the first illustrated edition of Wind in the Willows. 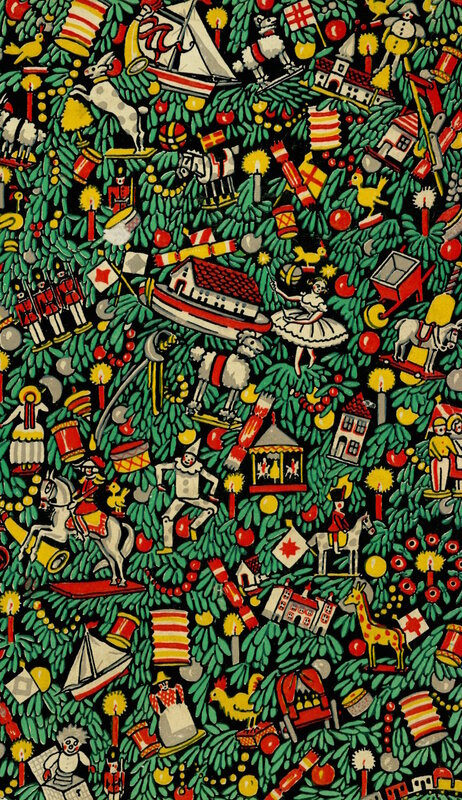 Using the limited colour palette of red, green and yellow he adds a suitably candy-land quality to this Nutcracker-esque, and occasionally nightmarirsh tale. 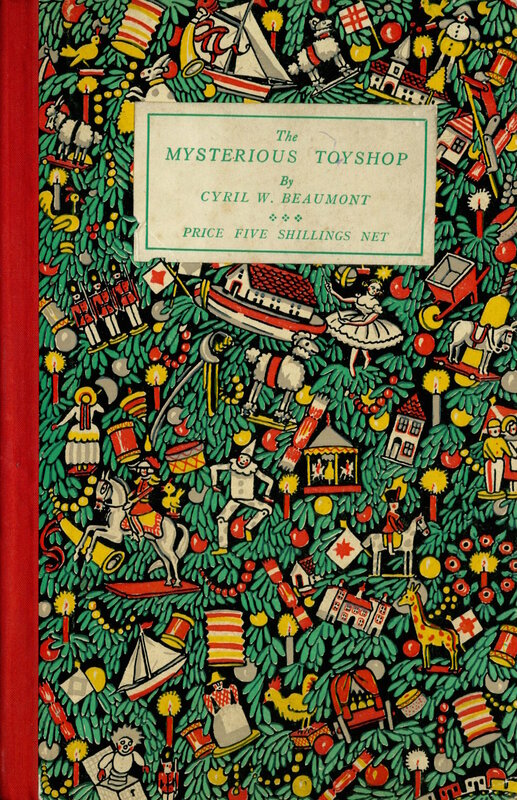 Tags: Cyril W. Beaumont, Diagon Alley, E Nesbit, Nutcracker, The Mysterious Toyshop, Wyndham Payne. Bookmark the permalink. 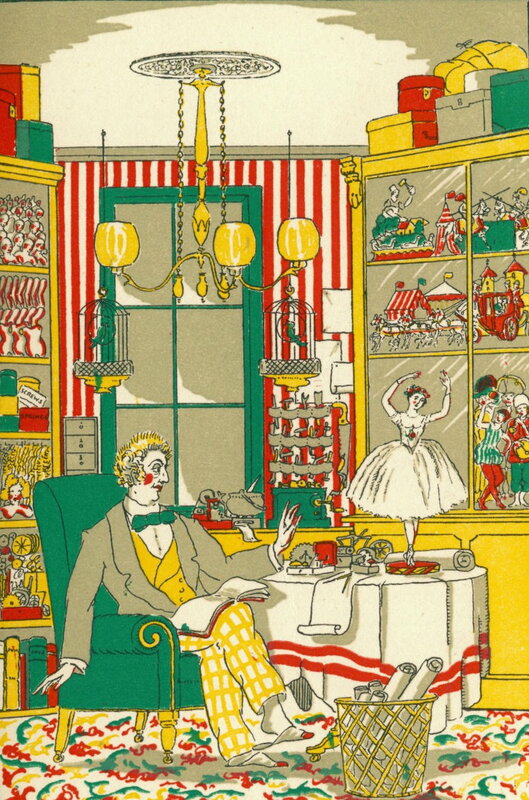 Such haunting illustrations and storyline, especially with that limited palette of red, yellow and green redolent of mass-produced early and mid 20th-century children’s books and, for me, very nostalgic.